Santa, Mrs. Claus and the elves have returned to the Rising Star Resort in Rising Sun, Indiana this fall for the opening of a one-of-a-kind holiday season experience at the “Christmas Casino” through Wednesday, January 2, 2019. The Rising Star Casino Resort will once again be transformed into a whimsical “winter wonderland” in the midst of popular table games and slots complete with holiday music, animatronic characters and even live reindeer nestled along the festively lit driveway. There are several new holiday attractions added this year, including the Christmas Market Village, offering a wide variety of seasonal merchandise, an imaginative animated 12 Days of Christmas Tree that comes to life with the famous theme song in the Pavilion, hundreds of props including a North Pole Display complete with real frost and customized figures, along with an extraordinary Christmas tree in the pavilion with gleaming stars overhead. 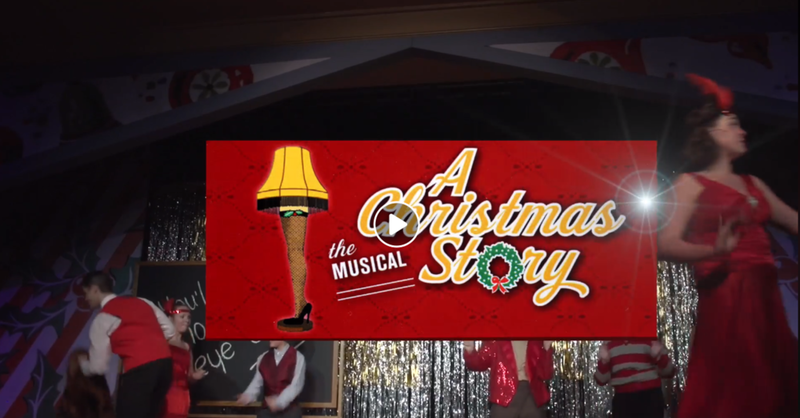 Also, Rising Star Casino Resort, in association with Ghostlight Theatricals, is presenting the season’s only live regional production of “A Christmas Story: The Musical” in the Grand Theatre on Thursdays-Sundays from November 15 to December 28. The award-winning Broadway show is based on the perennial holiday movie favorite, which chronicles young and bespectacled Ralphie Parker as he schemes for the holiday gift of his dreams, an official RedRyder® Carbine-Action 200-Shot Range Model Air Rifle. The role of ‘The Old Man’ is played by John Vessels, a regular on regional stages including Beef & Boards Dinner Theatre in Indianapolis and Derby Dinner Playhouse near Louisville. Another Indianapolis performer is Carrie Neal who plays ‘Mother.’ ‘Ralphie’ is played by Finn O'Hara of Youngstown, Ohio. The cast is filled out by Randa Meierhenry, Sarah Willis, Lauren Bass, Crystal Nichols, Hope Pauly, Wendell Hester, Todd Tucker, Jake Smith, Gray Lynn and Gerard Pauwels. The show is directed by Darrin Murrell with music direction by Cincinnati-based Griff Bludworth and choreography by Cincinnati-based Heather Hale. Costumes are by Natalie Cagle with scenic design by Shane Cinal.